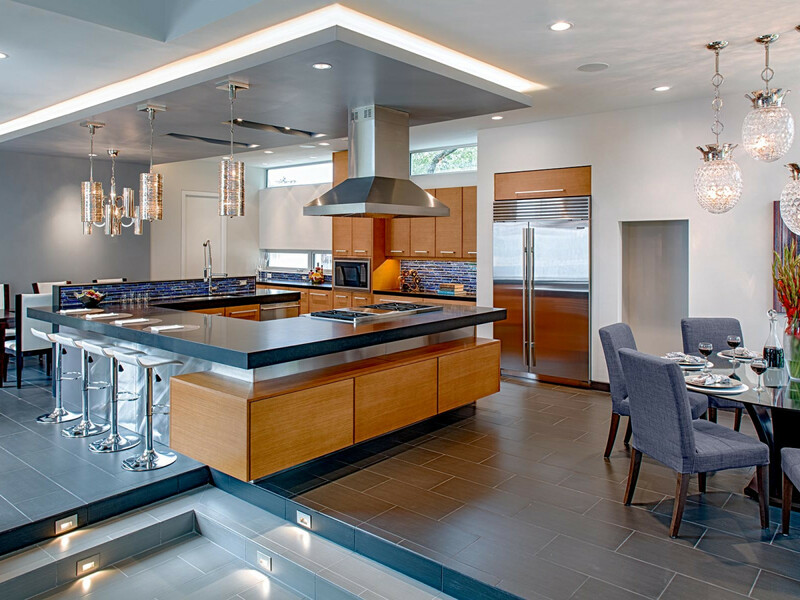 Seven spectacular homes will be on the fifth annual Modern Home Tour 11 am to 5 pm, Saturday, September 26. Tickets, $30 in advance, $40 day of, and specifics are available here. 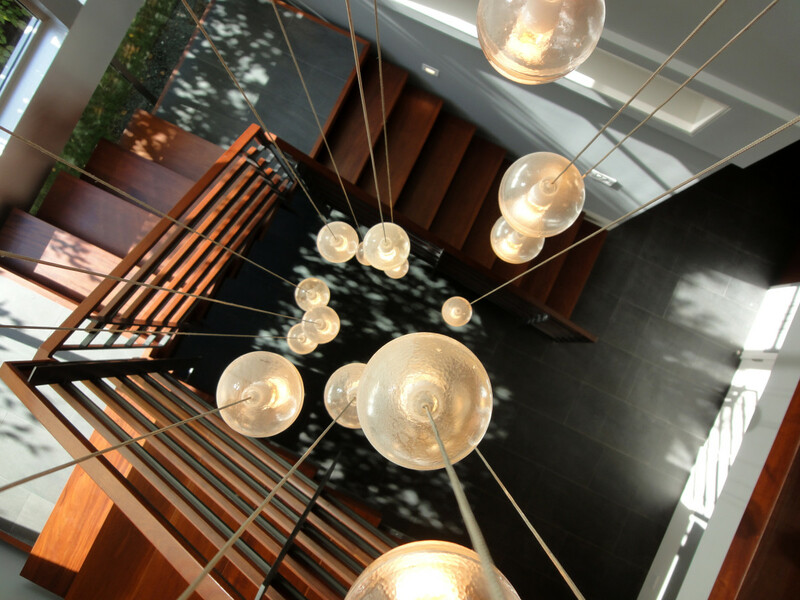 Each residence exemplifies modern architecture and modern living. 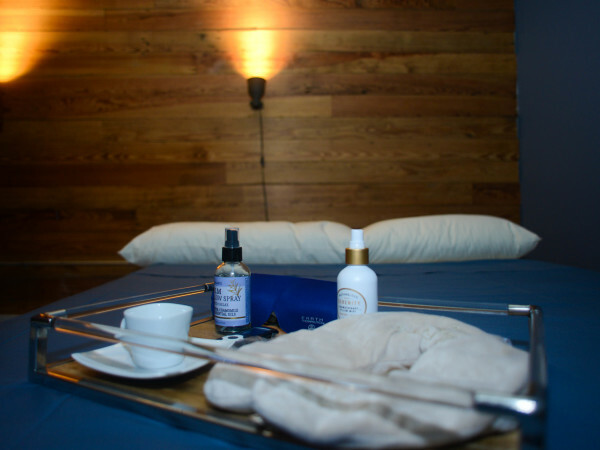 The tour benefits Lawndale Art Center. 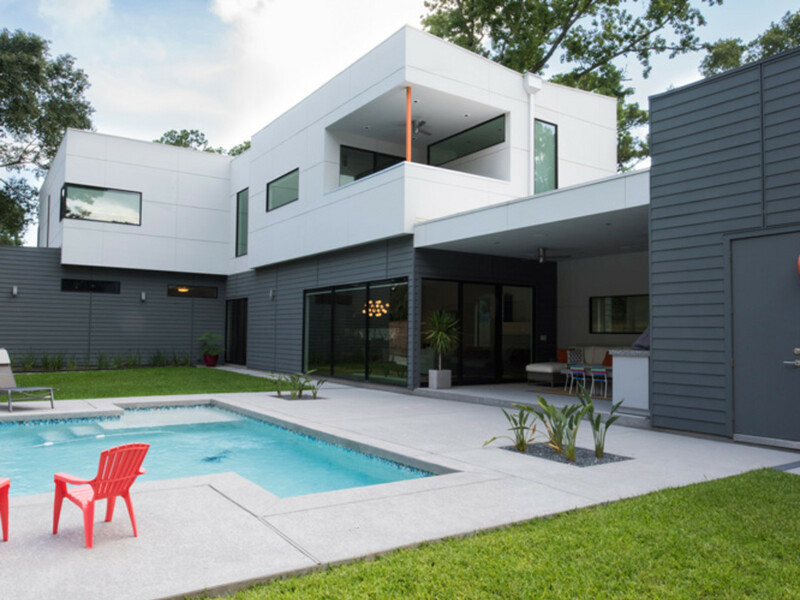 Keith Messick of Merge Architects, Inc., designed this Meyerland house that is part one-story and part two-story with each wing linked by the two-story height great room. 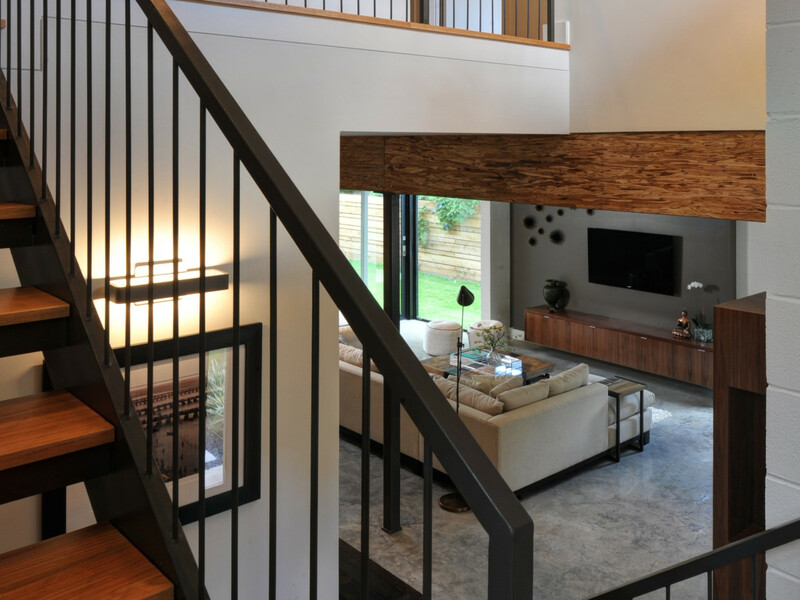 All common areas of the Meyerland house open up to the central two-story high great room. 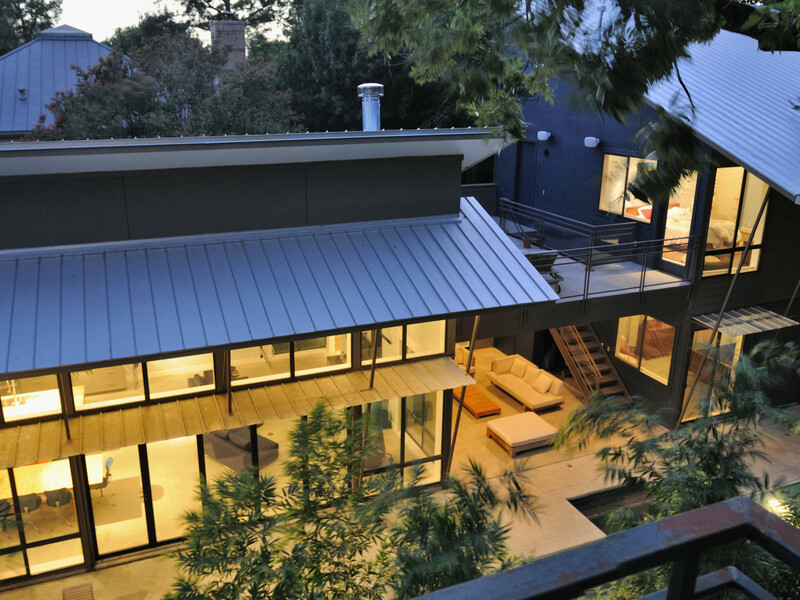 Scott Ballard Architect designed this contemporary home in the Upper Kirby District. 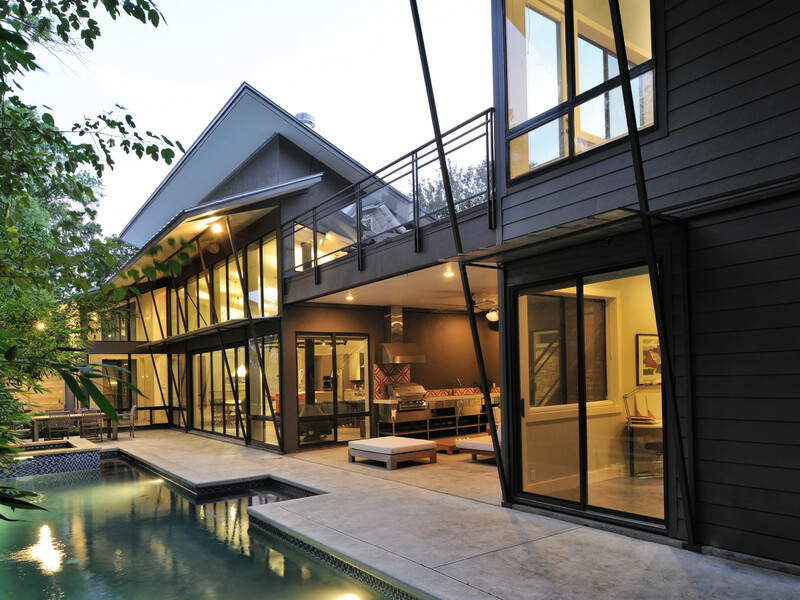 The large open living area of the Upper Kirby home features a double height glass wall opening onto pool area via a Nanawall operable wall system. 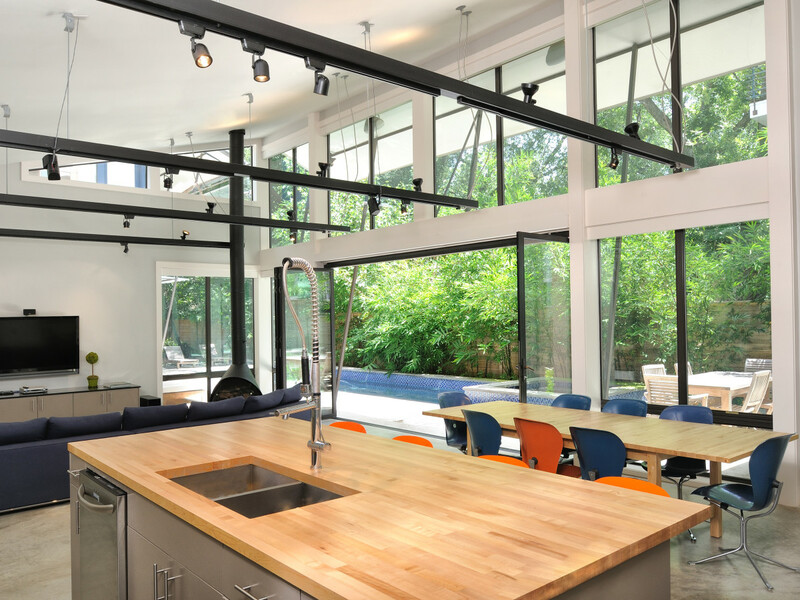 The house Upper Kirby residence features a central covered outdoor room with outdoor kitchen and deck above. The plan includes an exercise room, theater, game room, plus space for future bedrooms/baths. 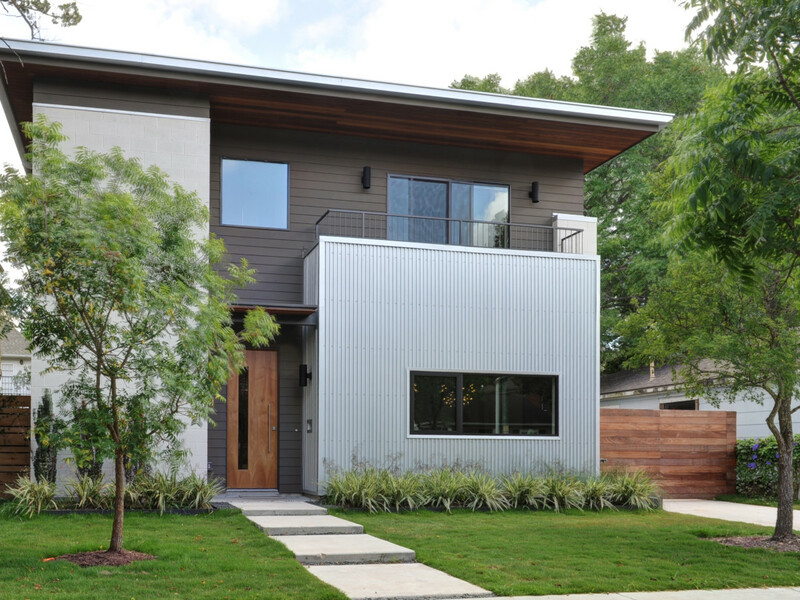 studioMet Architects describe the West University Place home, "Doing more with less is the ethos of this sustainable house for a young family in Houston." 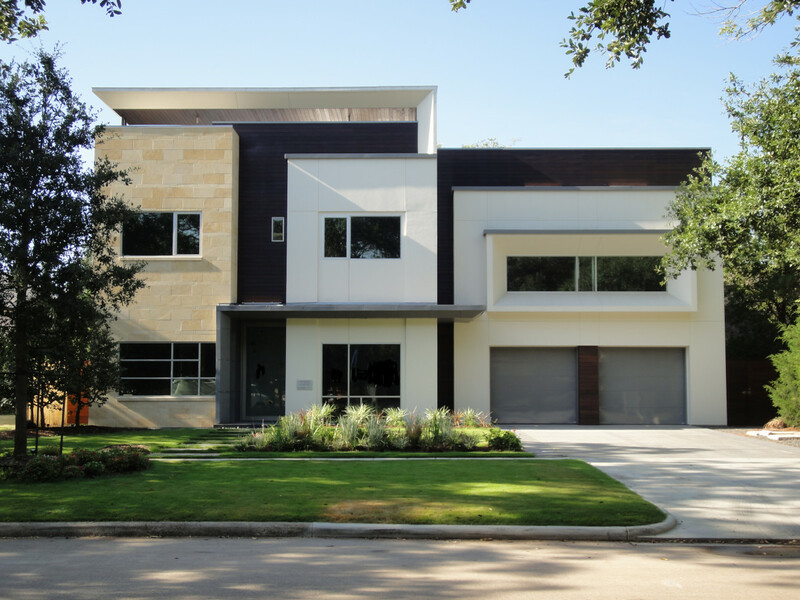 Despite the small West University lot, the architects were able to include an open concept kitchen-dining-living space, a master suite, three bedrooms, a family room, yoga terrace and storage. 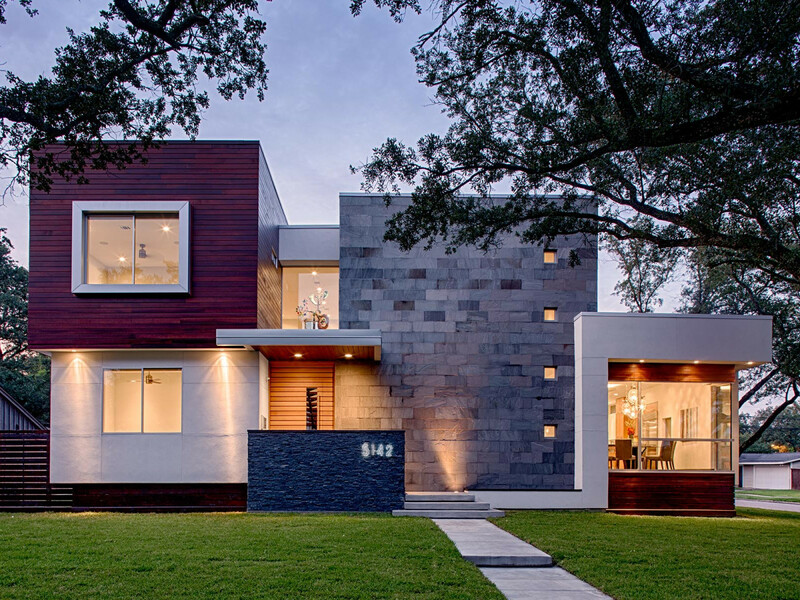 Mark Atkins of MASA Studio Architects designed the University Boulevard home that captures attention with zinc clad folded blades that weave together stone and stucco. 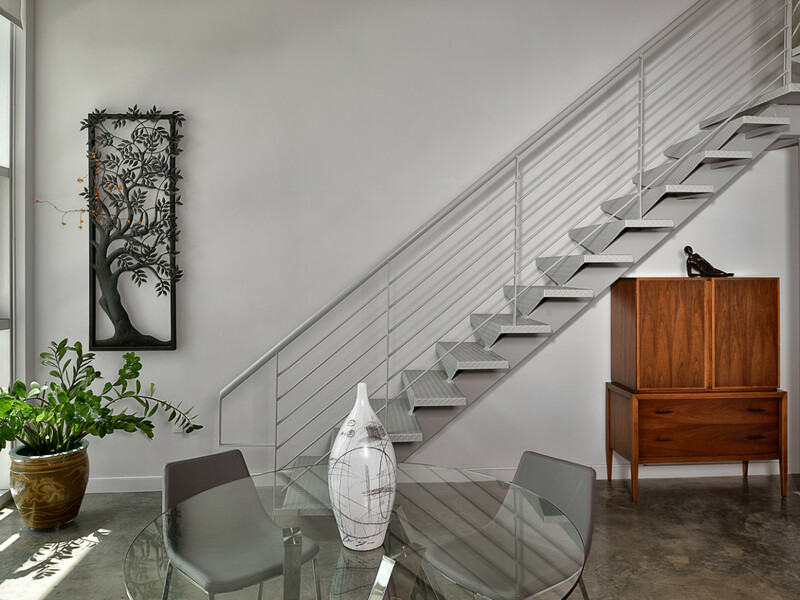 At the center of the West University home, a dramatic two-story window is backdrop for a steel and wood stair that spirals around a glass bocci ball chandelier leading to the private spaces on the second floor. 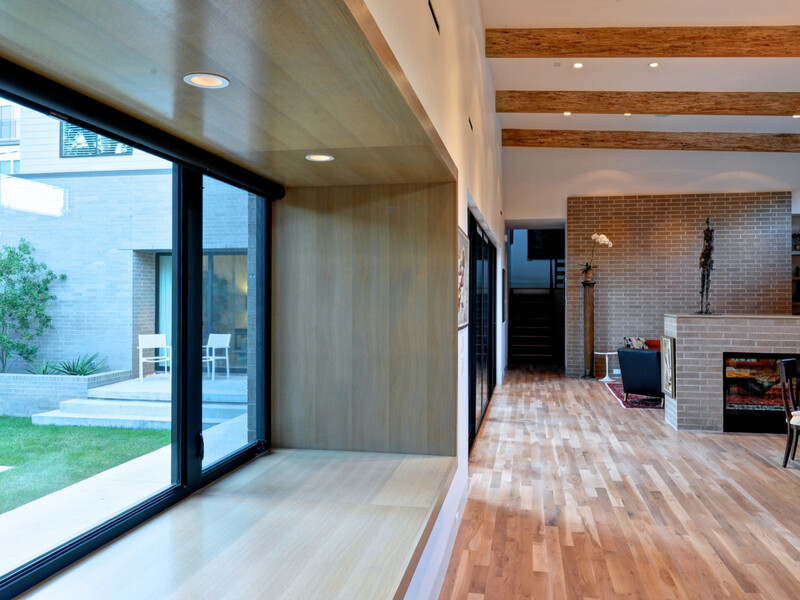 This introverted courtyard house by studioMet Architects on North Boulevard features an inward looking courtyard with covered patios, flatwork, landscaping with an interesting integration and transition of brick to glass to concrete and wood. Massing for the North Boulevard house includes a separate double height volume at the front of the property for a guest suite and an L-shaped configuration for the main house containing the kitchen, dining room and living room in the long bar. 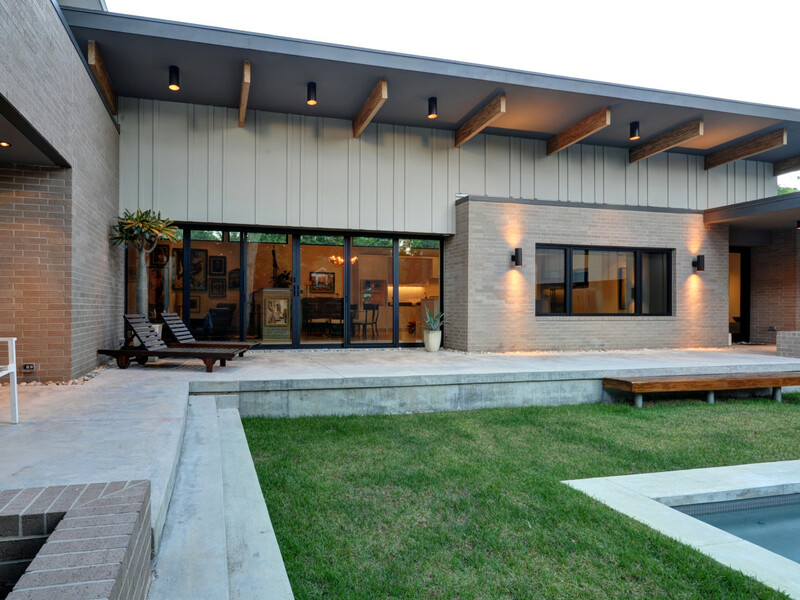 Rame Hruska of Intexure Architects designed this Garden Oaks home with a central axis dividing the structure in two halves separating the master and secondary bedrooms on the second floor and creating a circulation spine throughout the home. 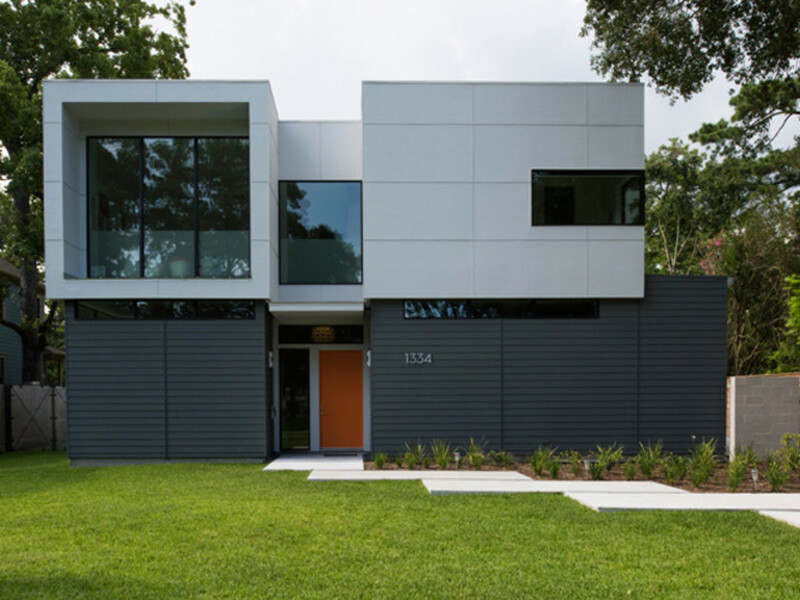 Though the house stands apart in the Garden Oaks neighborhood, the architect says that the scale and rhythm of the street are reflected in the design. 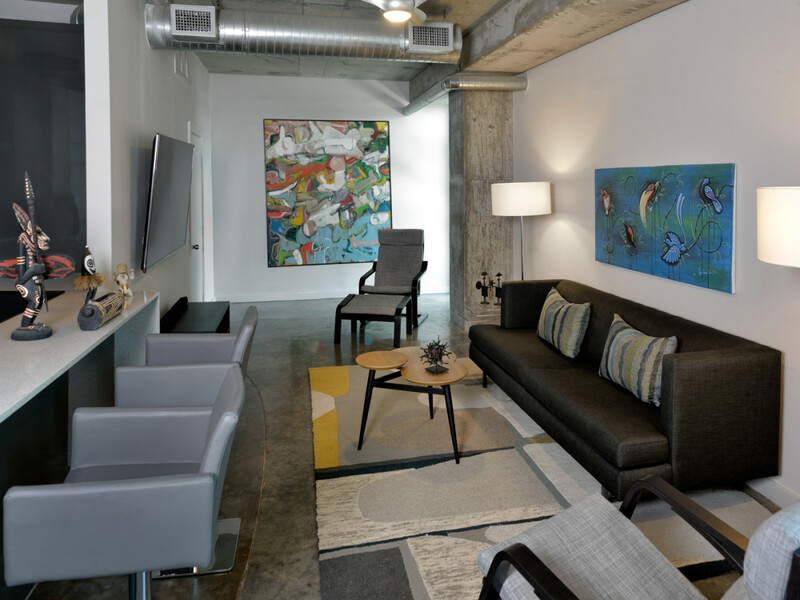 Amilee Wendt of Wendt Design Group reimagined the loft space in the Edge in Midtown. The residence embodies a minimalist urban aesthetic with colorful artistic interludes.